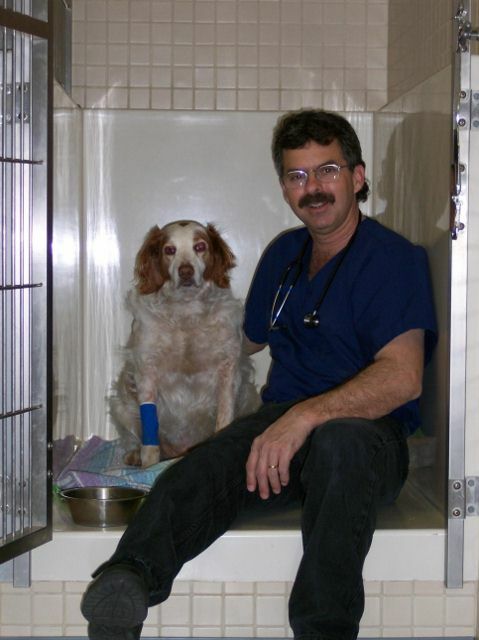 Dr. William Kennedy has been a pet veterinarian for more than 2 decades. He owns Smith Flat Animal Hospital, and cares for dogs, cats, rabbits, and other furry pets. Dr. Kennedy knows that the pet owner is a crucial member of the health care team, and needs to be given the diagnostic and treatment options that best serve their needs. He has extended most appointment times to 30 minutes to allow for a thorough evaluation. Dr. Kennedy graduated from the well-known U.C. Davis Veterinary School. He was in the top 10% of his class, and was awarded the Hart Scholarship, and elected to the Phi Zeta Veterinary Medical Honor Society. Dr. Kennedy did his undergraduate work at U.C. Riverside, graduated in the top 10% of his class, and was elected to the Phi Beta Kappa Honor Society.